This is a shorter post in comparison (due to my phone breaking and losing all my photos from this point forward) however this little portion of our journey is pretty high on my favourites list! We overlooked the necessity to reserve seats (and missed the train anyway) and instead of the cushy direct Paris > Milan, we had to travel via Switzerland. Joys. It took a whole day of travelling to arrive in Milan at about 10pm but the metro was simple and our Airbnb was close by, it was soon that we were in our comfy (and very stylish) room. By this point of the trip, we were quite exhausted so had a very big lie-in in the morning, spent the first day wandering around in the sunlight, stocking up on Buenos and cereal at the supermarket and watching Friends. 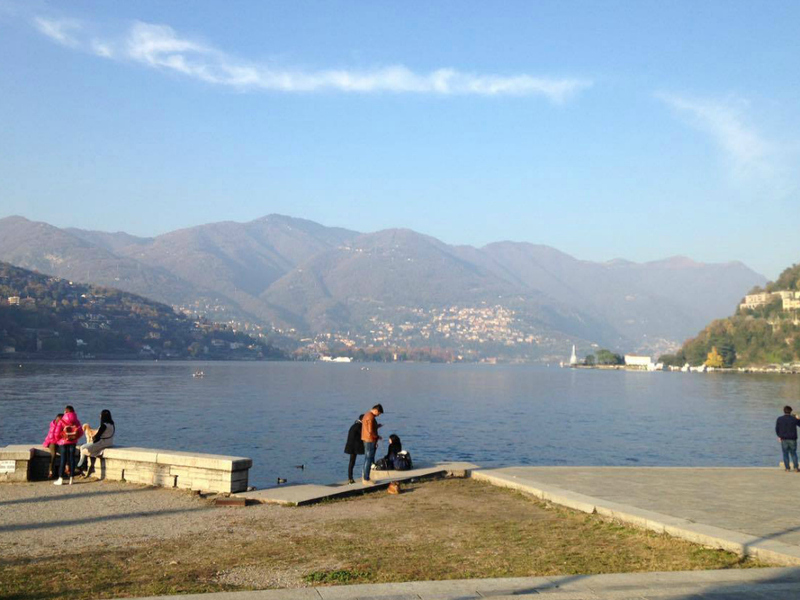 The second day, we visited Como, which I was INCREDIBLY excited about. 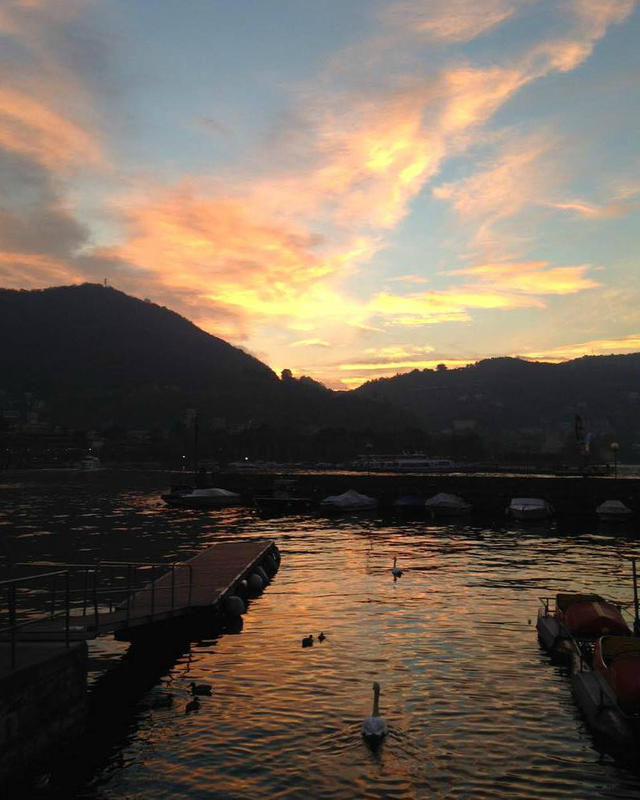 Since finding out about Lake Como's existence last year, I've wanted nothing more than to see it, and it really didn't disappoint! Although it was early November, the weather was beautiful and bright. There were mountains surrounding us and the lake itself was quiet, the waves were lapping slowly and there were only a few other people about. There were a LOT of birds though. As you can see, the sunset was absolutely indescribable, and not even a photo could do it justice. Our last day in Milan was spent wandering around the Duomo/cathedral until it was time to catch our train. 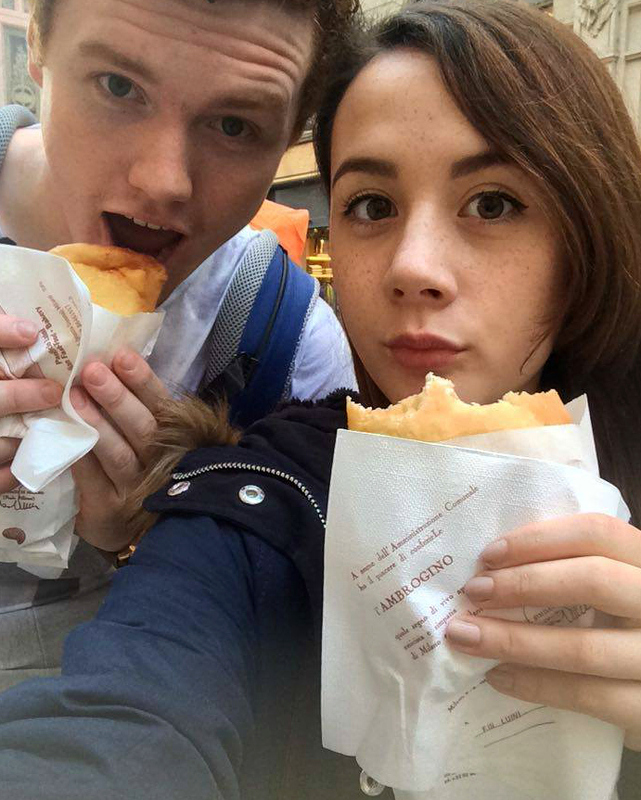 Pippa had recommended a place that served what she called 'pizza donuts' which turned out to be Luini Panzerotti and I fell in love. We bought five. The rest of our time was spend sat around in the sunlight, avoiding pigeons and people watching (people are so fashun in Milan). Previously we visited Paris, next stop... Budapest!